Okay…time for a hot topic. This has been on my mind for quite some time, and I think it’s necessary to dive right in. Where does social media fit into my library? Well, I honestly don’t know because my school district blocks almost all forms of social media. As part of my evaluation this year, I am supposed to effectively communicate with the students in my building. I have started doing a staff newsletter and a student newsletter through Smore. The staff edition is emailed to the staff and is well-received. The only way to communicate my student edition to the students is through My Big Campus, which is our learning management system. 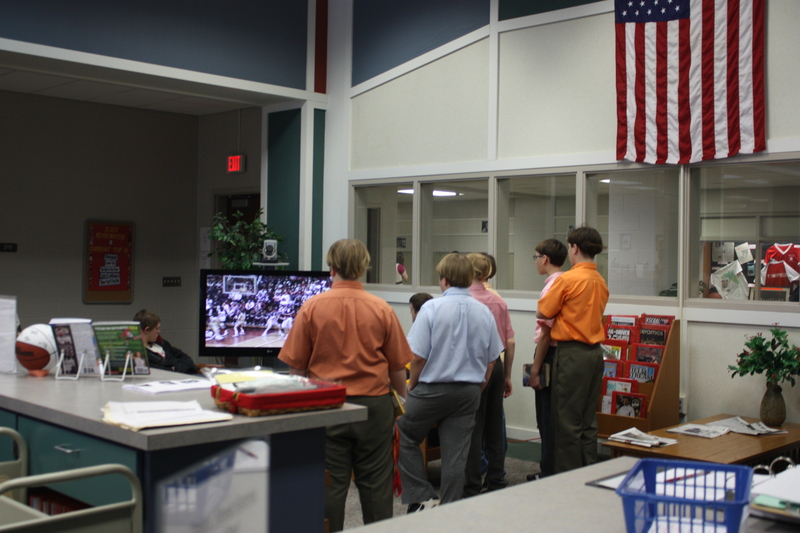 I have advertised for kids to join the Media Center’s My Big Campus Page and approximately 20 students have done so. However, they get tired of all of the email notifications, so they turn the notifications off. This means that they have no idea when I post a newsletter. In December only 5 students viewed my newsletter. The amount of time it took to make the newsletter was inversely proportional to the number of students who actually read it. So, I decide to do some research. 1. I found this article by Andrew Watts and shared it with a few students. They said, for the most part, it nailed their views on social media. 2. The Pew Research Center recently released their Social Media Update for 2012-2014. While Facebook seems to be leveling off, Pinterest, Instagram, and Twitter are still increasing in usage. 3. In many Media Center Newsletters posted online, you will find links to the Media Center Twitter and Facebook accounts. 4. Naomi Bates has a great blog that explores this topic. 5. I watched a webinar through Follett Learning titled “RU Ready 2 Trust ’em? Why Access is Essential to Developing Citizenship Among Millennials”. Great information! Now that I’ve done a bit of research, I am sad. Of all the things I found, it seems that Facebook, Twitter, and Instagram are my best options in reaching the teen masses. Alas, my district blocks them all. The filter, my friends, is not the issue. The issue is with the person/people that choose the filter settings. Some of the reasoning falls back on eRate. So…time to research federal eRate funding. Aha! It’s not eRate’s fault, either!! According to E-Rate Central, the FCC wants schools to be Children’s Internet Protection Act (CIPA) compliant by providing Digital Citizenship training for our students. In order to effectively teach Digital Citizenship, social networking sites should remain unblocked. That makes sense. How can you teach students about these sites if the sites are blocked?! So, what are my options? I really don’t know yet. It remains to be seen. I’ve gone to our technology committee, but their hands are tied. I’ve gone to my principals and their hands are tied. I have talked a bit with our Head of Technology, but there was no response. I will probably get a negative mark on my evaluation this year for not continuing to market the library through student newsletters, but I need to use my time wisely. I can spend hours creating a beautiful newsletter and only have 5 students read it (one of which is my son who is forced to read it to make sure all of the links work), or I can use my time to help individual students as they come into the library. I work for a great school district, but we are not infallible. In our effort to protect students and staff, are we also limiting them? Are our preconceived notions regarding the negative impacts of social media overriding the positive impact social media could have in our schools? Are we scared to interact with students based on the few crazies that take the interaction too far? What are we missing here? And here I am…at home…again. After some lovely freezing rain, we had to cancel school. If I remember correctly, this is our 4th day out so far and we are only at the end of January. This is going to be a short summer, especially since we are going to a balanced calendar. Let’s get up-to-date with some things that have been happening of late. 1. I received my new budget totals for this calendar year. I have 4 budgets for my library. They include AV Supplies, Books, Library Supplies, and Periodicals. On average, they were cut by 67%. One was completely cut. I have tried looking for grants, but I’m either too late for this year or I don’t fit the qualifications. 2. Our state’s proposed budget will force another big hit to public schools and also to our state library. I will probably take another hit from both sides of the coin. 3. I am at a standstill regarding technology. Between constrictive filter settings and low tech budgets, my poor students are crying foul and the teachers are ready to give up technology. 4. On a positive note, my circulation statististics are holding steady. Kids are reading reading reading. I guess, with this weather, they have had some extra downtime since we don’t have eLearning in our corporation. 5. It’s a busy busy time of year for extracurriculars. Between sporting events, Vocal and Instrumental contests, Speech meets, Homecoming, etc, the students are busy and keeping out of trouble (for the most part). 6. The staff members are supporting each other in great ways. Positive emails, words of encouragement in the hallways, smiles in the midst of long days…I am very blessed to work in this environment. A teacher getting rid of any personal classroom library books if they don’t have an accompanying Accelerated Reader test. Requiring students to read 30 books per semester outside of books read for classroom assignments. Forcing students to check out books in the library based on reading range. Books deemed too high or too low are not allowed. Schools reducing library funding to less than $300 per year for new books. Situation #1 – The obvious one here is that some wonderful books were tossed aside just because they didn’t have an AR test. Really? Since when should we let a test decide what we provide as reading material for our students. Oh, wait…that’s what our state does with all of the testing it requires. We teach to the test. Okay, so maybe this behavior hasn’t been modeled well for teachers. But in any case, leave the books there!!! You never know which book will impact a student notwithstanding its accompanying AR test. Now don’t get me wrong, I’m not bashing reading testing programs and other standardized testing. Moderation is the key. 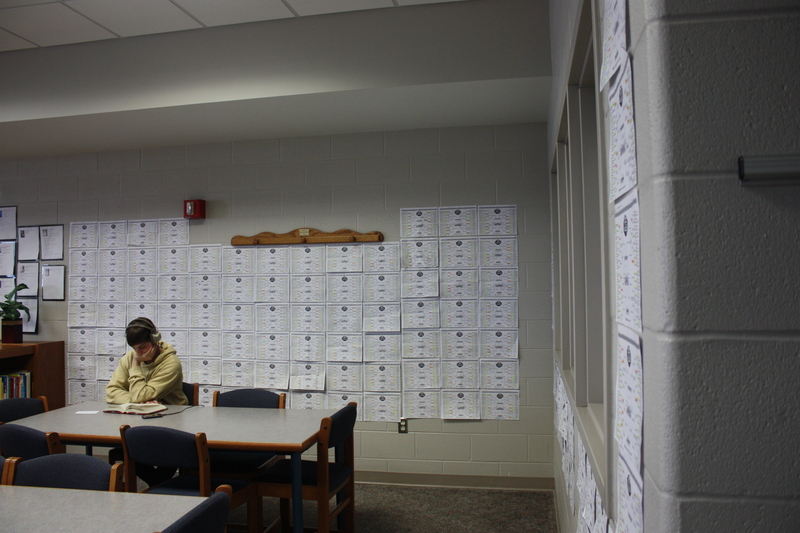 Situation #2 – Seriously, I know a classroom of students who are currently required to read 30 books per semester. If you read a book with 400 pages, it counts as two books. I know a student who was reading a book with 377 pages. This student stopped halfway through the book and didn’t finish it because it was taking too long to read. There was a fear of not meeting the goal, so the book was set aside in favor of reading a shorter, less interesting book. I commented that the book was within a mere 23 pages of the 400 page promise of having it count. I thought the teacher would make an allowance. Nope. It would have only counted for one book. This particular student loved to read from an early age. Albeit the student reads slowly, but the comprehension level is high which earned the student a spot in an honors program. The student no longer loves to read. Reading is seen as a chore and is no longer enjoyable. I am crushed beyond belief. Situation #3 – In my particular district, we teach Guided Reading and Self-Selected Reading in an instructional block for grades K-6. Teachers choose what the students will read during Guided Reading in order to frame instruction. In Self-Selected Reading, teachers choose the books that go into the tubs. The students can choose what to read from the tubs, but the choice ultimately belongs to the teacher who fills the book tubs. So, would it not seem appropriate to let students choose what will be checked out in the library? Granted, in the higher grades, we have students working on various projects where they may need to check out books based on the project. However, can they check out other books for recreational reading? Of course! So why in the world do we have teachers who say “No, you can’t check out that book. It’s too easy.” Or, “No, you can’t check out that book. It will be too hard for you.” By golly, let the kid figure it out for themselves. Librarians are guilty of this as well. 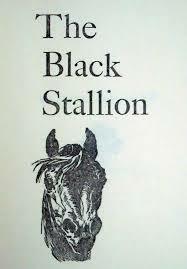 I once had an 11th grade student who was reading through the Black Stallion series just for fun. He was ranked first in his class, graduated as valedictorian, and is now doing exceedingly well in college. While taking several AP classes, he just wanted a book to kick back and enjoy. A fellow librarian commented that he shouldn’t be reading books that low anymore. “Why the heck not?”, I asked. As adults, do we ever kick back and read fluff? Yes, all the time! So what harm is there in letting a teenager enjoy a book about a horse. Situation #4 – I will be the first one to admit that my particular district has been great with funding. Yes, my budgets have dropped, but they still provide us with an opportunity to spend at least the recommended amount per student. I’ve spoken with a librarian who had a school similar in size to mine and had a $200 budget. Another librarian was in a large urban district where each school was given approximately $300 to purchase books each year. Seriously? You can buy new athletic gear for sports teams, spend oodles of money on new iPads, but you only have a $300 book budget when it’s a researched and proven fact that the school library success is directly tied to student academic success. Those districts should be ashamed. Again, let me reiterate, my district does not fall in this last situation. Through blood, sweat, tears (ok, not really, but it sounds dramatic), I have finally been able to get some newsletters done for my staff and students. I would love to embed them into my blog so you wouldn’t have to follow links and go through all of the extra steps, but (alas) it will not work in WordPress. Sorry. Smore.com does a great job. I, of course, wish it would work more seamlessly with My Big Campus and WordPress. The issue doesn’t seem to be with Smore. I am doing these newsletters for a few reasons. 1. It is part of my evaluation dealing with effective communication with staff and students (state-driven evaluation). 2. It is part of my evaluation with Individual Professional Development Goals (school-driven evaluation). 3. Most importantly…I just wanted to do this. The library has so many things to offer, but I haven’t really done a good job in getting that word across to the students and staff. This is just a small step, but hopefully it’s a step in the right direction. Another school year is at a close. The seniors have just practiced their graduation walk-through and have done their traditional “running through the halls”. The graduation ceremony will take place tonight with Pomp and Circumstance playing in the background. There will be your run-of-the-mill flowery speeches along with songs sung by the choir. Parents will have tears in their eyes while staff members will be silently cheering in their seats. I have compiled a list of “What I Will Not Miss” and “What I Will Miss” from this year’s graduating seniors. The many ways in which they manage to get out of class in order to meet up with their friends or boyfriend/girlfriend in the back of the library. Knowing that, while it is important to carry a driver’s license, it is seemingly not important to carry their school ID cards . This forces us to type in their 9-digit student ID whenever they want to check out something. Finding new and ingenious ways to get past the school’s Internet filter. They like to do this while in the library. The random senior who pops their head in just to say hi. Some of them are strong readers, and some of them are not. But at some point in time, the library became a safe and welcoming place for them. The mother of a senior who lets me know that she had to get her son’s public library card renewed because of me. He got hooked on a 4-book series and didn’t want to wait for the last book to come in. He was working after school and couldn’t make it to the public library in time, so he begged his mom to get it for him. She said it was the first time he had read books for fun since he was in 6th grade. The seniors who decided to get together on the weekend to see a movie that was based on a favorite book. However, they made sure that everyone in the group had read the book before going to see the movie. On Monday morning they came into the library to tell me that “the movie was okay, but the book was better”. Looking back on these lists, I’m leaning heavily toward the things I will miss. It was great to see these kids as they were growing up. A few of them will come to visit next fall. Some will stay in the community while others move as far away as possible. Whatever the case may be for them, it was a great ride while it lasted. Hopefully they will learn to stay at their jobs without feeling the need to sneak out every other hour. Hopefully they will have their ID on them at all times. Hopefully the computer hackers will find better ways to channel their technological prowess. And hopefully they will get all of their things handed in on time, library books included. The list could go on and on. I have witnessed people throwing a hissy fit due to something that could have been helped with just a simple phrase or two of communication. Sooooo, what does this have to do with library work? Everything and nothing. Books are a wonderful tool for communication. However, sometimes we need to put the book down and go for it. Don’t ask someone else to communicate for you. Here’s one more quote from Franklin Delano Roosevelt, “Be sincere; be brief; be seated.” Amen. Anyway, I view my library as a type of “Cheers” bar…no alcohol, of course. Duh…we’re a public school. But I liken it to Cheers when students and staff alike “belly up” to the bar (my circulation desk), and tell me (bartender/librarian) their troubles and joys. I smile and nod, try to ask the right questions, and I give helpful advice when needed. Lately, however, I’ve had a different dilemma. Most likely because I have a son who is a senior, many of the students feel more free to share things with me. A big item to share is their dislike for certain teachers and/or assignments. I refuse to take sides, and mostly will back up the teachers. After all, we adults need to stick together (wink wink nod nod). I have noticed an increase in the number of students who feel as if they should get shortened assignments and extensions on the due date. Seriously?! One student was bemoaning the fact that he had to turn in an assignment a few hours early because he was going on a field trip that day. He thought he should get a one day extension on the project. I asked him when the paper was assigned. Lo and behold it was assigned almost 3 months ago, and he still wanted a one-day extension. Oh.my.word. Needless to say, I pointed it out to the student and did not take his side. I could tell he wasn’t impressed with me at 8:00 in the morning. My next customer walked by 5 minutes later spewing random hurtful comments about another teacher who assigned a rather large assignment. This poor child thought is was simply “too much”. I gently/firmly reminded this student that, this assignment will seem like a piece of cake when he starts getting his assignments in college next year. He just rolled his eyes and walked away. I fear I may start losing “customers” if this trend continues. It’s time for a reality check, kiddos. We’re glad we know your names, and your troubles seem all the same. But there ends my sympathy. And thus ends another episode from the place where Shirley Temple and Arnold Palmer are found in the biography section (92), a Long Island is in the geography section (974.7), and a grasshopper is in the insect section (595.72). Basketball lovers…please don’t hate me for what I am about to confess. I am sick of basketball. As we are in the midst of March Madness, I will come forward to say that I have grown weary of that orange spherical bouncy toy of which young and old alike are so enamored. 1. 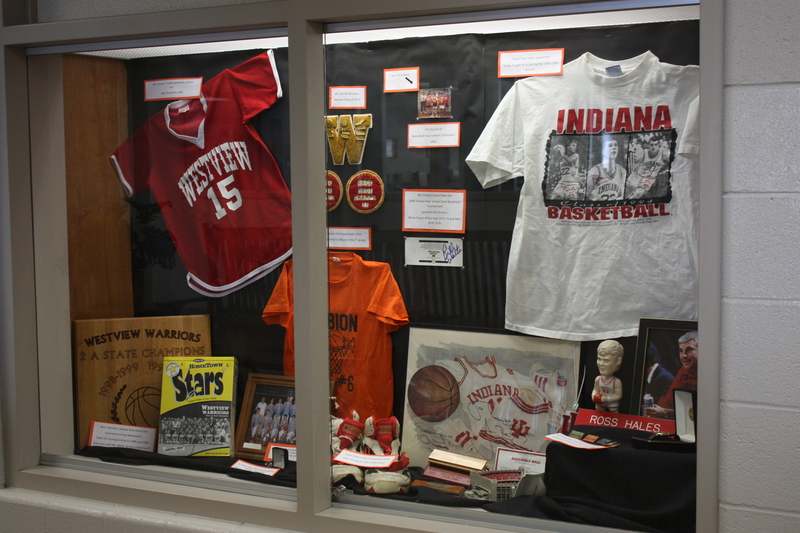 I have 2 showcases in the hallway outside of the Media Center. 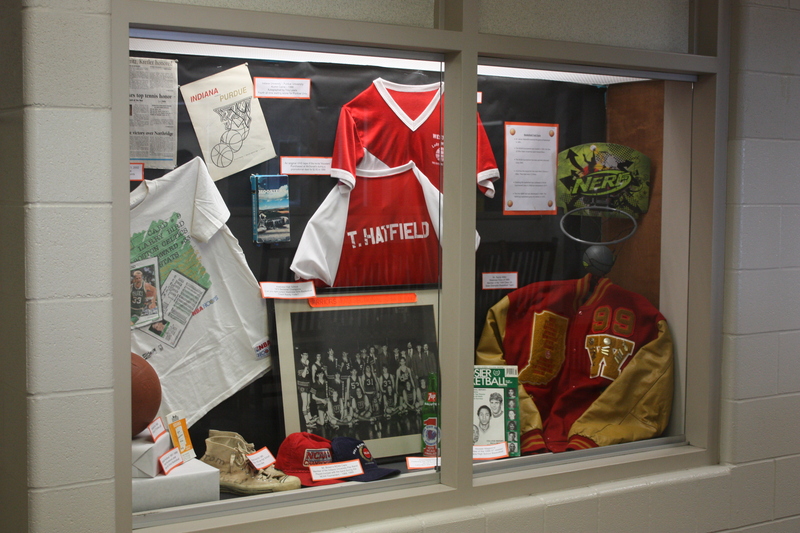 I have asked staff members to bring in any basketball memorabilia that may have. We have completely filled both showcases. 2. I am running a NCAA bracket contest (free) for both Men’s and Women’s brackets. Prizes come from money earned during fundraisers. This year I am giving away basketballs signed by our Varsity boys and girls basketball teams and, of course, books about basketball. At last count I’ve had over 150 Men’s brackets and almost 100 Women’s brackets turned in. Yes, I’m scoring them all by hand. No, I can’t do this online. We are not a one-to-one school, and as you may be able to tell by the picture at the bottom, we have a large Amish population. 3. I have old footage from basketball games in the 80s and 90s. The students are hovering in front of my TV when they can. I have apologized to teachers ahead of time if students are late to class. I’ve also put the yearbooks from the years on the counter so they can put names with faces. Tomorrow our varsity team plays in the Class 2A State Championship. Win or lose, it is a special time for the students and staff. It’s quite an achievement. However, the game will not be a tearful end for me. I’ll have a quiet smile on my face knowing that we will be one day and one game closer to April. March Madness can be put to rest until next year. Okay, now that I have sufficiently yelled out my frustration, I’ll get to the point. In simple language…do what is right for your patrons and your library. Seriously, it’s as easy as that. Melvil Dewey was not a perfect person. Hence, his system is also not a perfect system. If it was, all fiction would remain in the 800 section. While there may be some library out there that does this, I know of not a single library in my area (both public and school) that puts their fiction section in the 800s. While my nonfiction section still proudly boasts Dewey’s numbers, I chose to genrefy my fiction section for numerous reasons. I think I posted this in an earlier blog, but I’ll do it again for my own sanity. 1. My junior high English staff was doing a type of genre study through Reading Discovery classes. Countless times, students would come up to me asking questions such as, “Where are your science fiction books?” I would throw wide my arms and say, “They are everywhere. Go look in Destiny (OPAC) and start searching.” We had a line of kids trying to get to a computer to search in Destiny (they had been trained) while others wandered aimlessly or created mayhem as myself and my aide would be running all over the library trying to help. While I appreciate job security, I needed the students to be more self-sufficient. 2. Our local public library had been separating some popular genres for years such as Westerns and Christian Fiction based on patron needs. 3. Space was an issue in my library. I have two distinct areas where nothing really fit well. 4. I needed a way to boost my circulation for two reasons. -I needed a better way to market my library to justify its existence. I don’t want to run a mediocre library. -I needed a better way to market myself to justify my educational existence via my evaluation. Change can stimulate creativity. It’s been about 3 years since I’ve genre-fied my fiction section. The first year my circulation stats went up 16% and continues to go up each year, even though our student population stays relatively the same. We rarely get asked how to find a book. The students know how to use my OPAC for both fiction and nonfiction. They are happy, I am happy, we are allllll happy. Isn’t that what Melvil Dewey would have wanted in the end? Currently reading: Yes, It’s Hot in Here: Adventures in the Weird, Woolly World of Sports Mascots by AJ Mass.